Les Misérables is one of the longest-running musicals of all time, with the London West End production playing continuously since 1985. Based on the French novel by Victor Hugo and set in the June Rebellion (does it even need an introduction? ), the story follows Jean Valjean, an escaped convict seeking redemption after a tremendous act of mercy, the orphan girl he tries to protect, and his tenacious pursuer, Inspector Javert, all told in song. 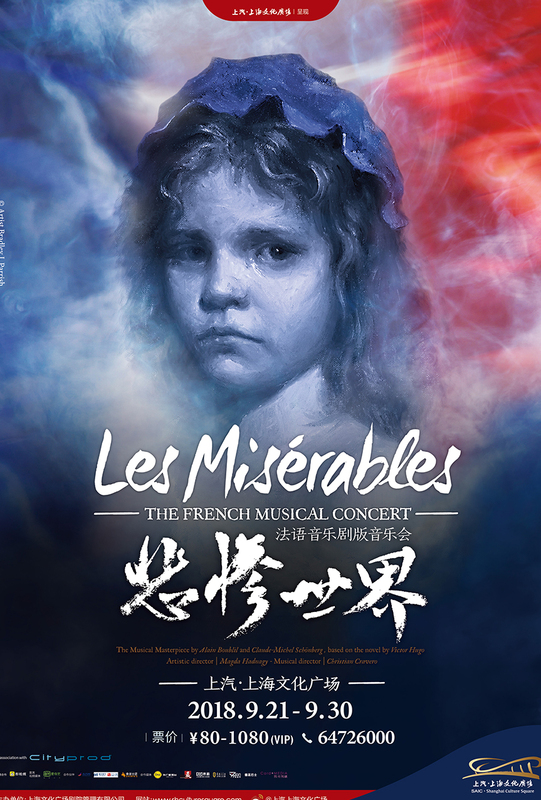 This September, Shanghai gets a chance to experience/re-experience the music of the original French-language performance in concert form, with 26 singers decked out in period costumes, two child vocalists, and a full symphonic orchestra performing songs like "I Dreamed a Dream" and "Do You Hear The People Sing?" as heard at the first showing in Paris' Palais des Sports in 1981. Note, they will not be performing the full musical, only the songs from the musical, in French. Subtitles in English and Chinese.